There’s a show of a lifetime at the local club, and you are the VIP. Playson is organizing a party of a lifetime, where talented performers will take the stage to woo you. Stories, dancing or singing – pick your favorite, and enjoy! But unlike any other show in the world, this one is all for you – and you do not even have to pay a dime. Just the opposite – the luckiest among us will actually come back with pockets heavier than they left! We love the design of this slot. The reels are set on an actual stage, complete with curtains and a large hall for the audience. The slight glow in the upper part of the screen looks great, and helps set the atmosphere. 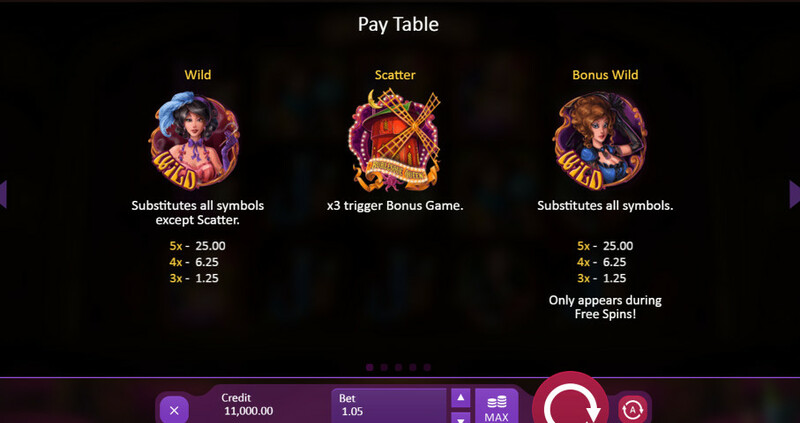 While smooth music plays in the background, gamblers can enjoy some basic animations and cool symbol designs. The user interface is rather minimalist, and succeeds in getting the job done. Nothing is more than one click away, and important things like changing your bet are not hidden in menus. Perhaps the one downside to their design is the odd color choice. Purple and dark red do look good together, but overlaid over the current background image, it just does not fit. With a medium variance, players can expect a balanced experience. Special features are never too far away, but their awesome value is still preserved. Big wins can be difficult to hit, but it does not take nearly as long as it might for high variance games. 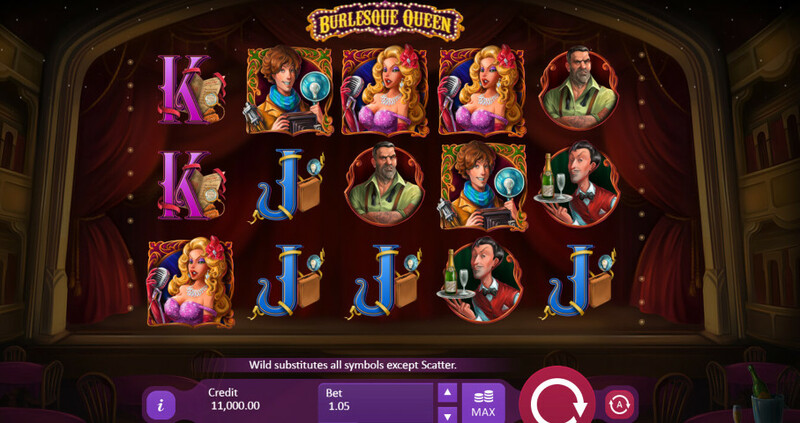 Burlesque Queen is played on a 5×3 board with 21 fixed paylines. This may be one of our biggest gripes with the title, in fact. 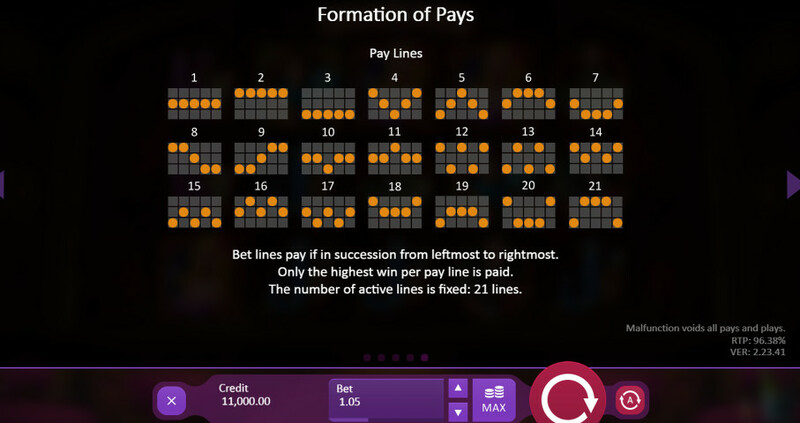 With 21 paylines, you gain nothing, but the available wagers are scuffed to hell and back. Either give us 20 paylines, or even better, 25. Something like this serves no purpose other than to drive gamblers away. Playson’s slot has an RTP of 96.38%, which is slightly above the current industry average of 96%. Not as fantastic as 96.5% or 97%, but quite respectable in its own right. While you can waste away tapping the arrow buttons, we recommend simply clicking the bet section. 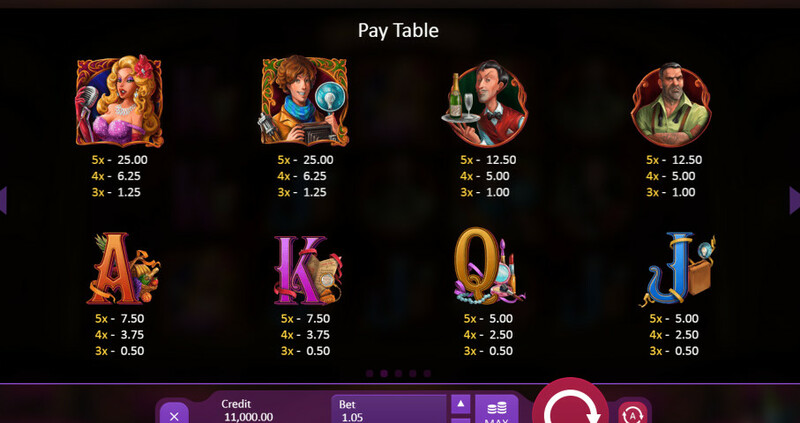 It will open a drop-down menu, where you can choose your exact bet. The minimum wager is $0.21 up to a maximum stake worth $105. The Autoplay option lets players set the number of auto spins between 5 to 999. You can also click the advanced section to reveal the options to set a loss and single win limit. To set either limit, tap the button, and then drag it to the value you want. Three or more identical symbols in adjacent positions from left to right will grant cash prizes. Only icons following one of the twenty-one fixed paylines counts for a winning combination. The Wild, Bonus Wild and singer and photographer symbols all share the most valuable icon spot. They are followed by the waiter and the bouncer, then letters A and K. The least valuable symbols are letters Q and J. We like the effort Playson took in decorating all the icons, especially the playing card royals. 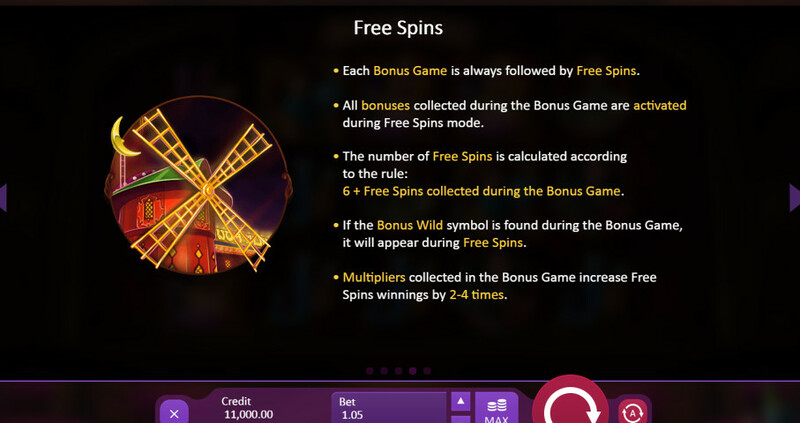 Collecting three windmill Scatters starts the two-part free spins special feature. Things start with a point-and-click bonus, where you can uncover cash prizes, extra free spins, multipliers, and extra Wilds. 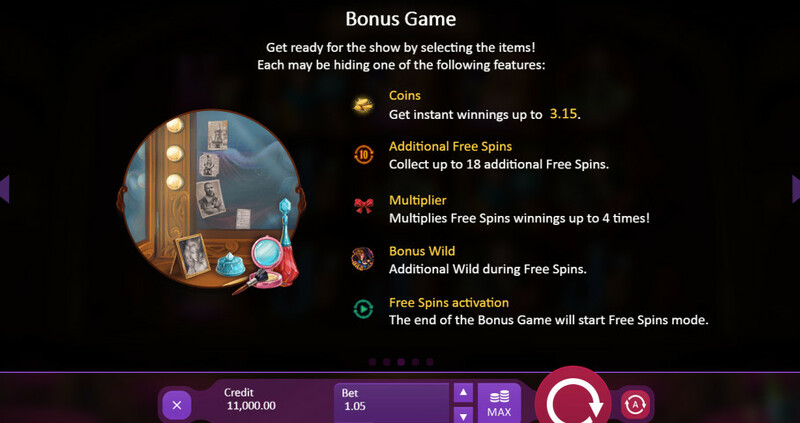 This special feature lasts until the free spins activation symbol is drawn, which is when the second part starts. Free spins start with 6 turns, plus any extra you collected. This means at maximum, you will have 24 free spins to play, with a multiplier between 2x to 4x.